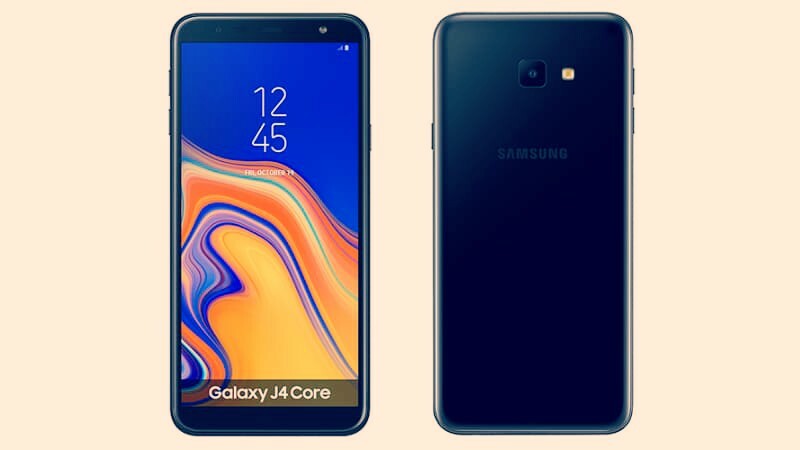 Samsung's Second Android Go Smartphone Galaxy J4 Core Launch, Learn All Specifications - mobilereview.online - The Ultimate resource for mobile phones reviews, specification, information. South Korea's mobile maker Samsung's second Android G smartphone Galaxy J4 Core has been launched. After speculation last long, the official Samsung Galaxy J4 Core has been officially listed with all the specification. The Samsung Galaxy J4 Core will have a 6-inch HD + display, a 5-megapixel front camera for selfie. Samsung had unveiled the Galaxy J2 Core in August, it comes with smartphone optimized data control and ultra data saving features. Galaxy J2 Core was the company's first Galaxy model, which was part of the Google Android Go program. Specifications of the Galaxy J4 Core are highlighted on the Samsung Mobile Press website. The price and availability of Galaxy J4 Core is yet to release the curtain. Samsung launched the Galaxy J2 Core in India at Rs 6,190, recently, after the Festive Discount Galaxy J2 Core was being sold for Rs 5,990. Dual-SIM (Nano) Samsung Galaxy J4 Core runs on Android 8.1 Orio (Go Edition). It has 6 inch HD + (720x1480 pixels) TFT LCD display. For speed and multitasking, 1.4 GHz quad-core processor has been given 1 GB RAM. To save photos, video and other things, 16GB of internal storage will be available, with the help of MicroSD card it is possible to extend the storage to 512 GB. Samsung Galaxy J4 Core for photography will have an 8 megapixel rear sensor with an LED FLASH. There will be a 5-megapixel front sensor for selfie with LED flash and video calling. Now talk of connectivity. The Galaxy J4 Core includes 4G Volts, Bluetooth version 4.2, WiFi 802.11b / g / n, GPS / A-GPS and Micro-USB. Accelerometer and proximity sensors are part of the phone. The Galaxy J4 core has a 3,300 mAh battery and its length-width is 160.6x76.1x7.9 millimeters to boost the phone.